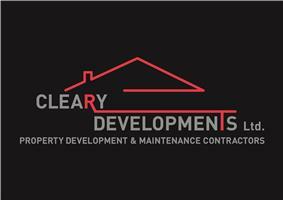 Hello and welcome to Cleary Developments Checkatrade page. With 18 years of experience within the industry and from a background of well-established builders and professional tradesmen I have achieved an extremely high standard of skill sets and strive for absolute perfection in all aspects of my work. I'm extremely meticulous and passionate with my work and I'm really happy with the team I've built at Cleary Developments. As a team, we take great care in delivering complete satisfaction for all our customers. I believe in good communication and always work patiently with my customers from start to finish offering my advice knowledge and insight when required. Thank you for visiting Cleary developments Checkatrade page and taking the time to learn about my company, please feel free to call to arrange for a free quotation.